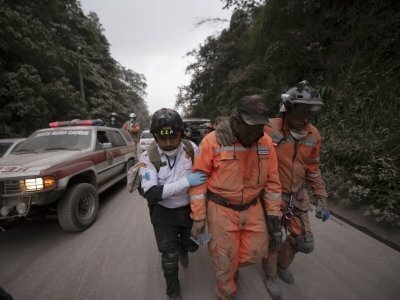 EL RODEO, Guatemala (AP) — Rescuers pulled survivors and bodies from the charred aftermath of the powerful eruption of Guatemala’s Volcano of Fire, as the death toll rose to 69 on Monday and was expected to go higher from a disaster that caught residents of remote mountain hamlets off guard, with little or no time to flee to safety. “As soon as we received the information around 6 a.m. that the volcano was in an eruptive phase, the protocol was initiated to verify with different sectors and also talk to the communities, to community leaders. ... We had the information from our scientific service, and they told us the trend was that the activity was diminishing,” he said.